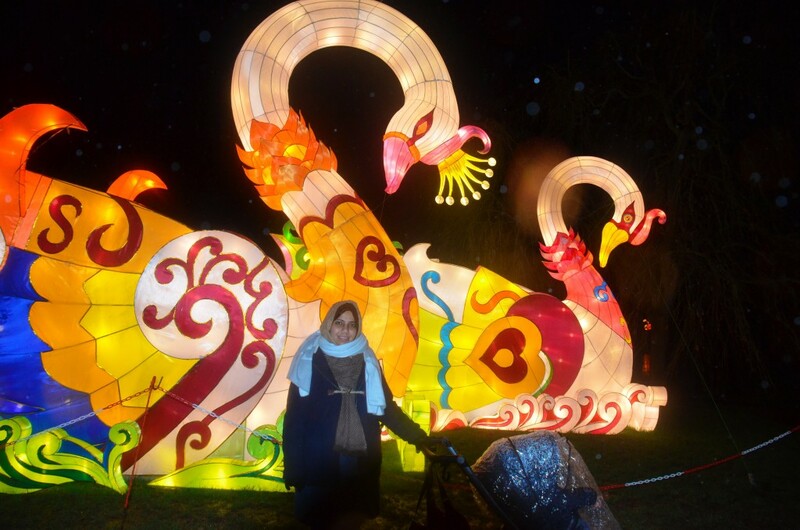 The Year of the Monkey starts on Monday, February 8 according to Chinese zodiac. 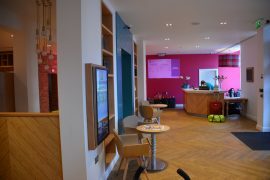 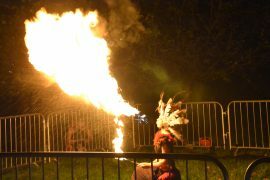 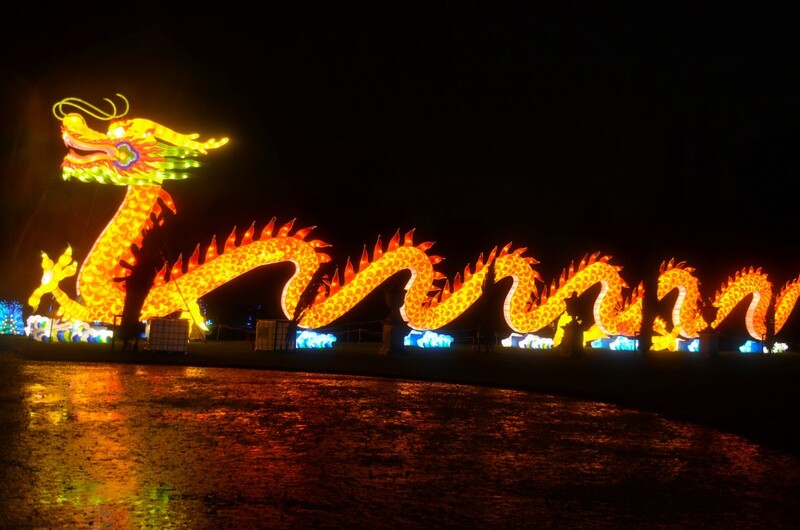 London as the multicultural capital of the world will be hosting several events to celebrate the Chinese New Year. 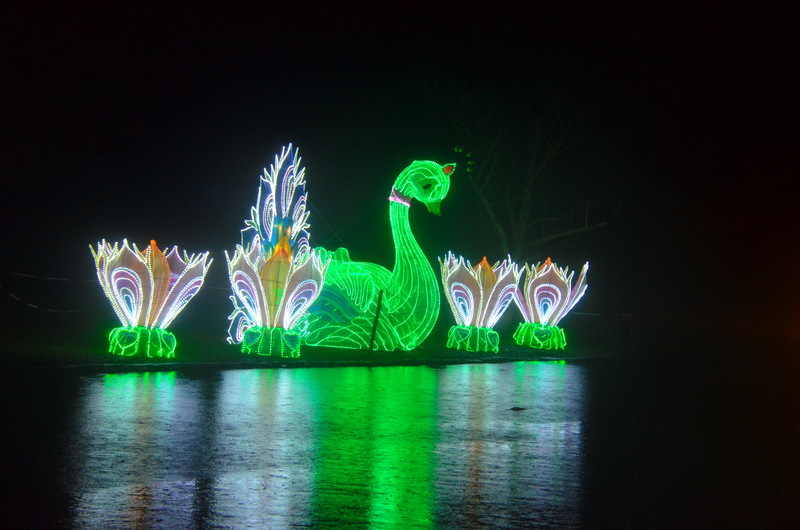 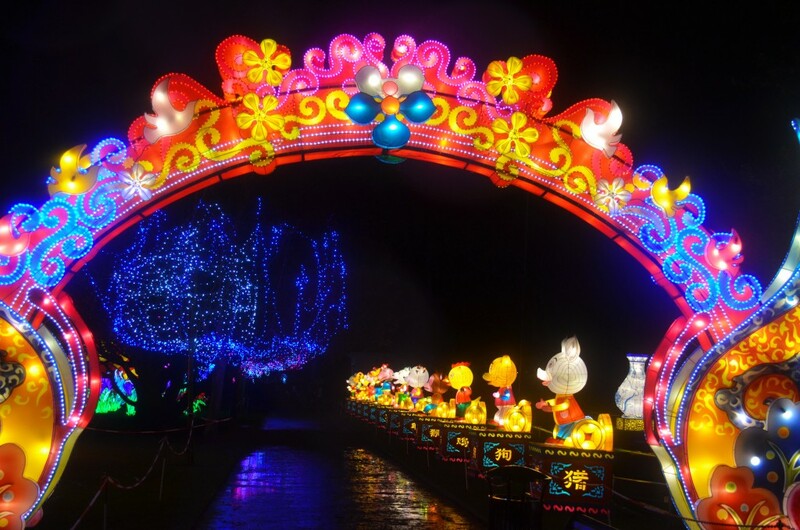 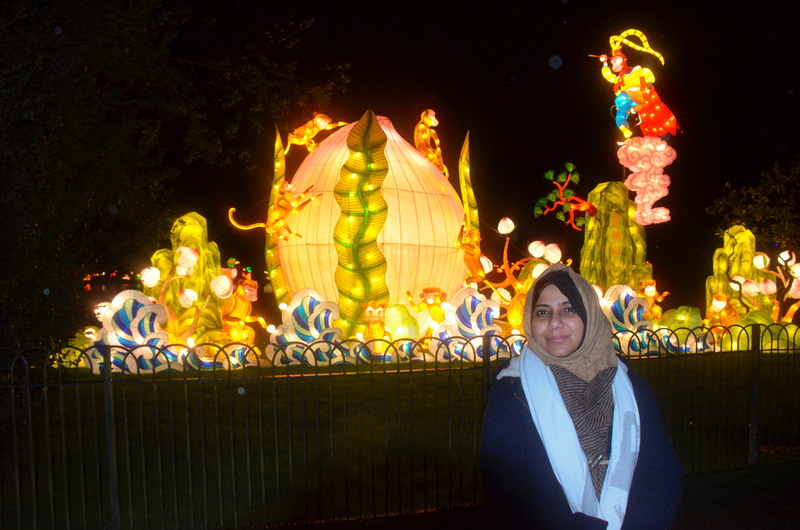 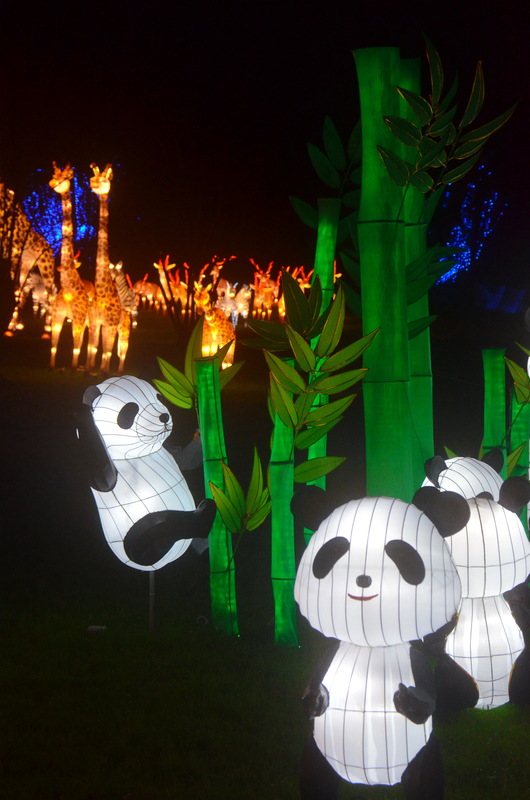 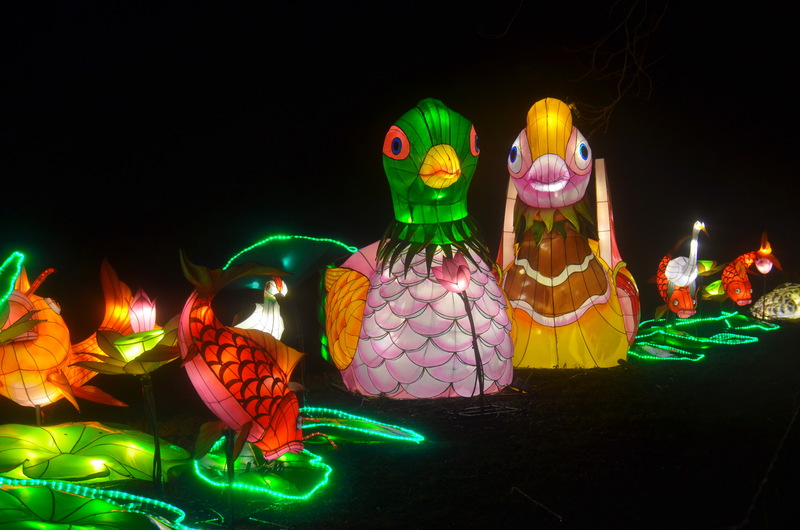 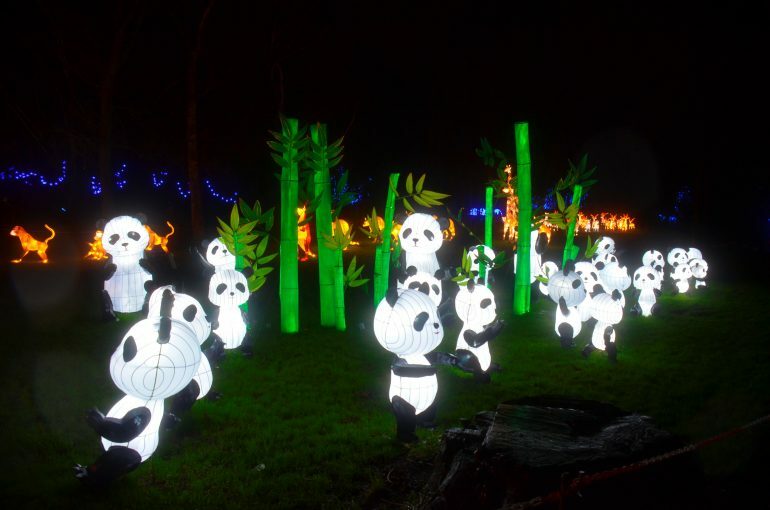 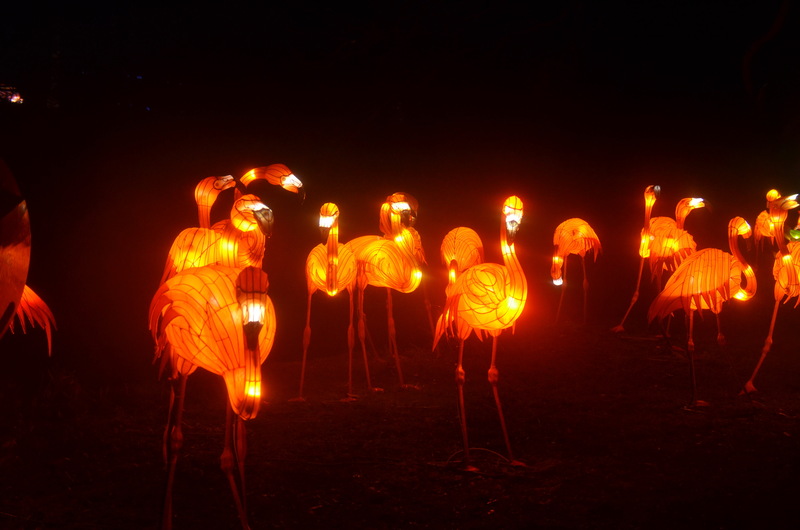 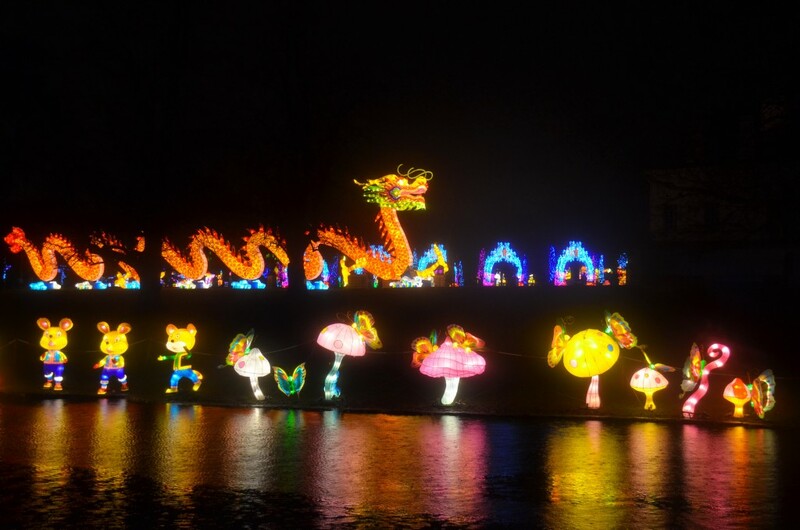 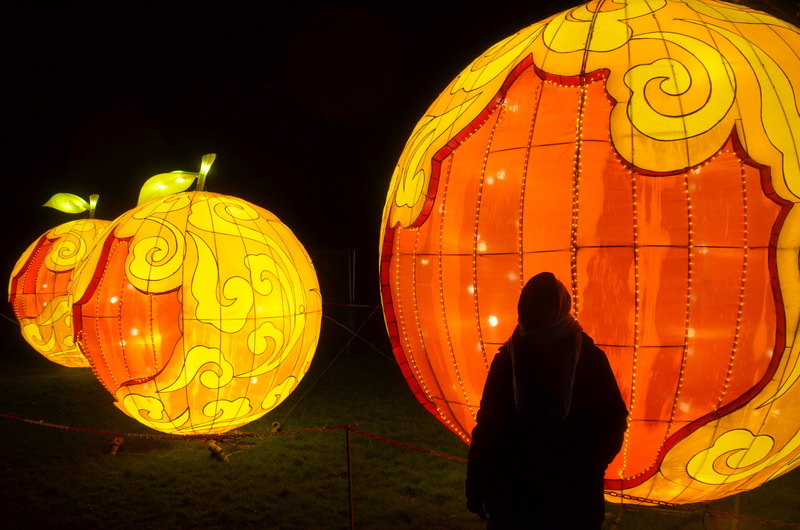 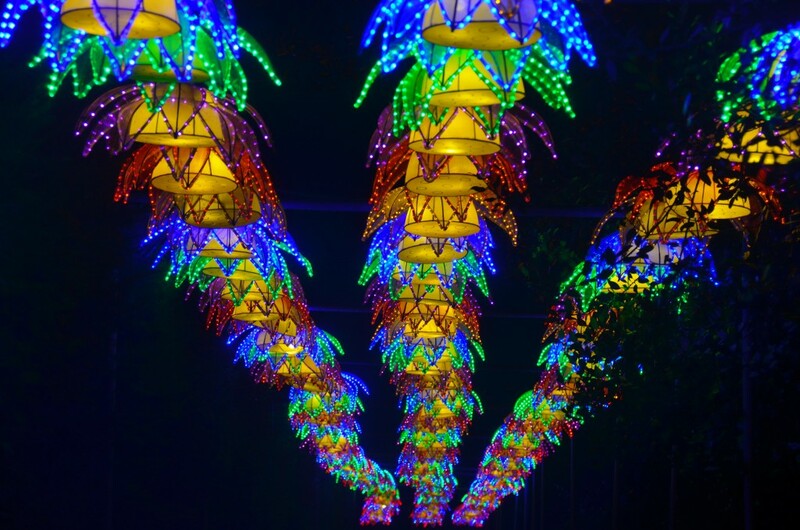 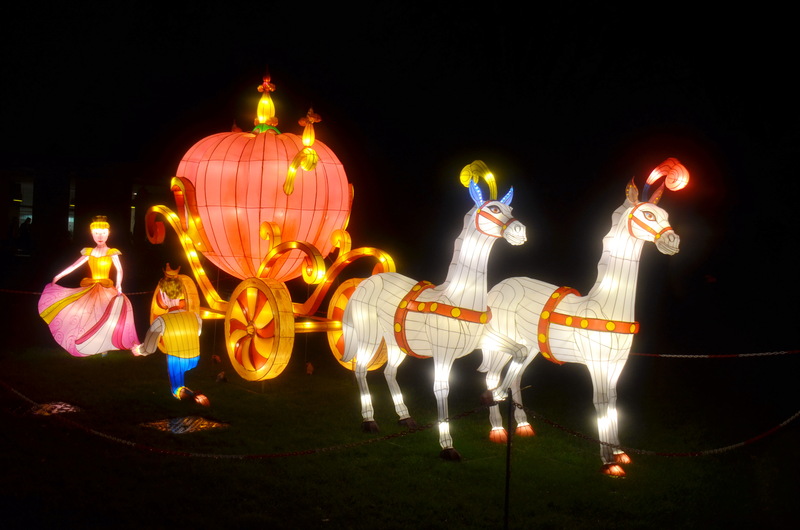 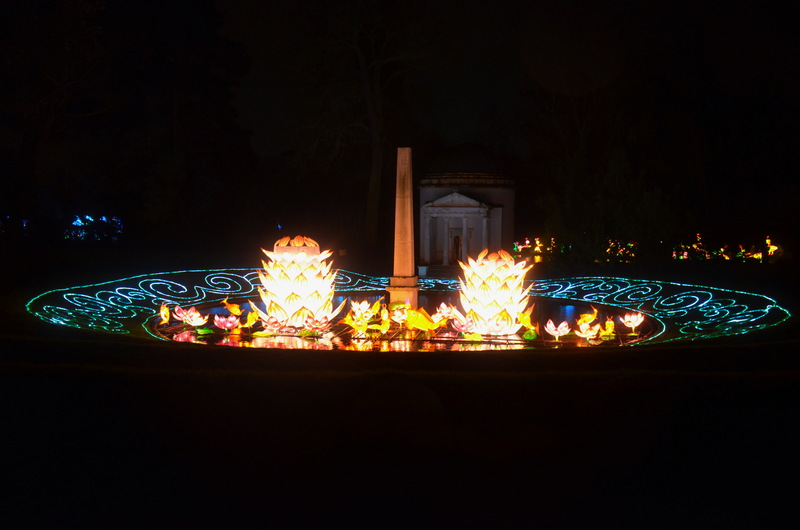 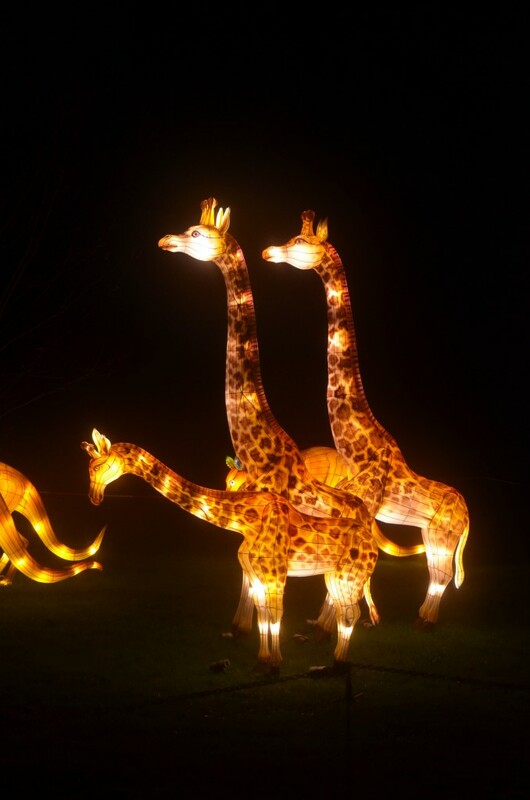 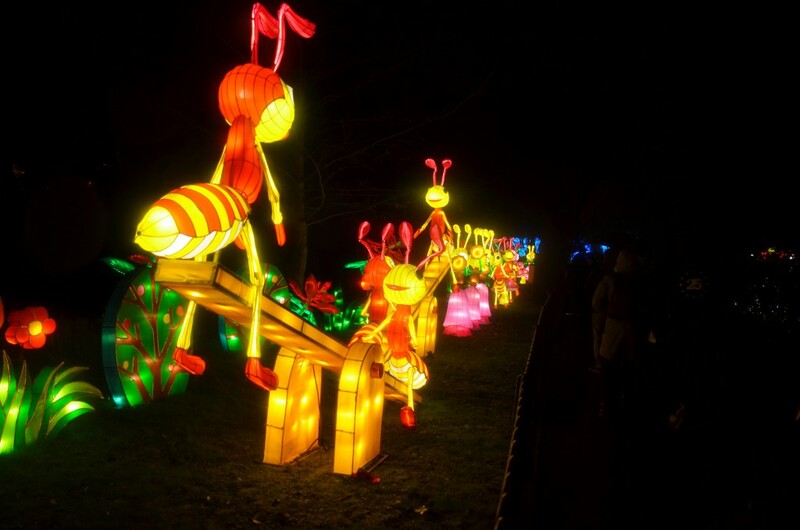 But this year, for the first time outside China, the Magical Lantern Festival in Chiswick House will mesmerize visitors with amazing and dazzling light installations. 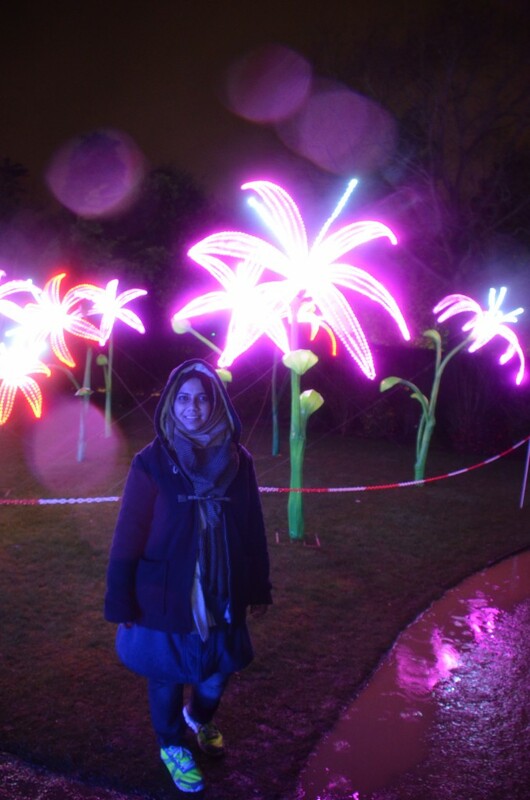 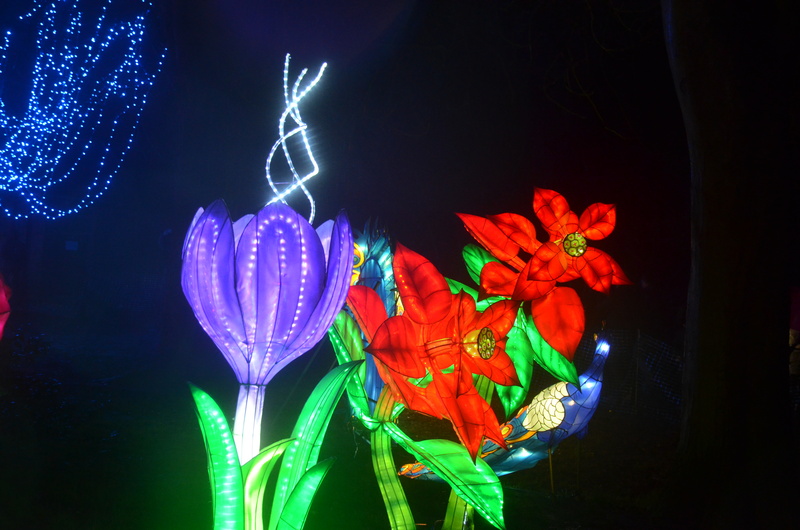 Spanning 65 acres and the entire Chiswick Garden, the 50 giant light installations are scattered throughout the area and differ in size and themes. 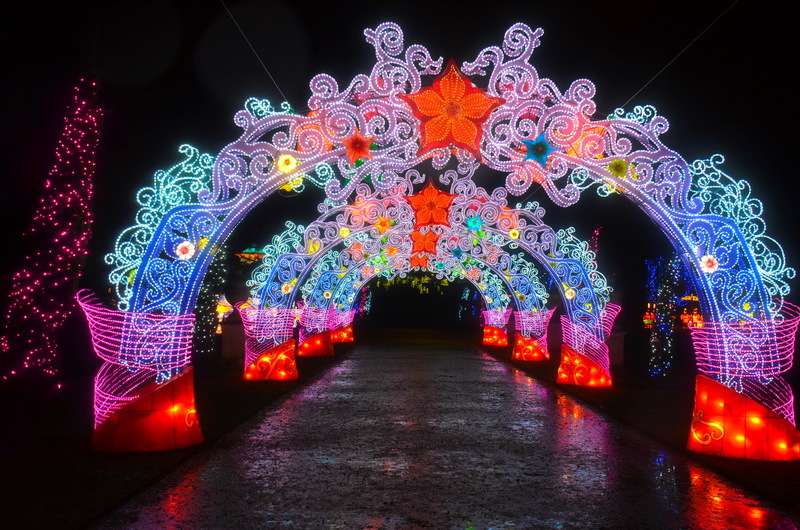 We visited the festival yesterday and were absolutely enchanted by it. 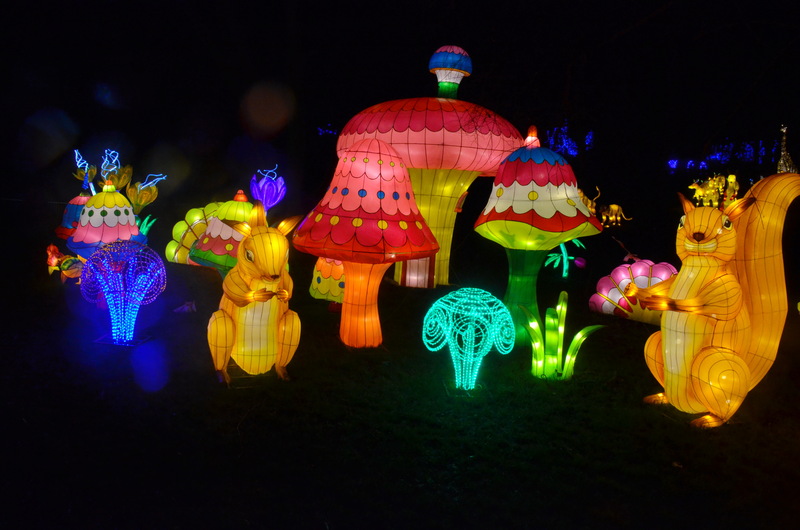 It’s like getting lost in a magical light kingdom. 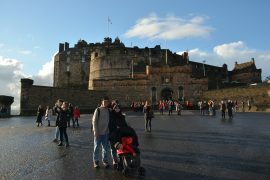 We also found it easy to navigate the festival even with the pushchair. 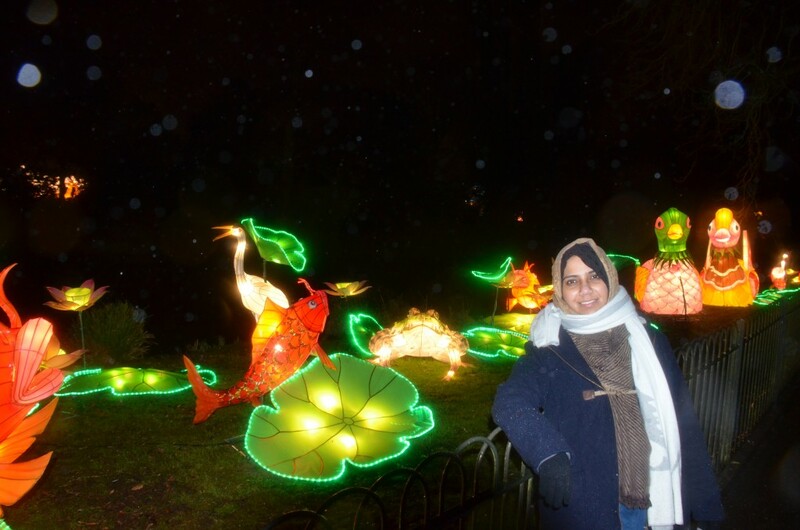 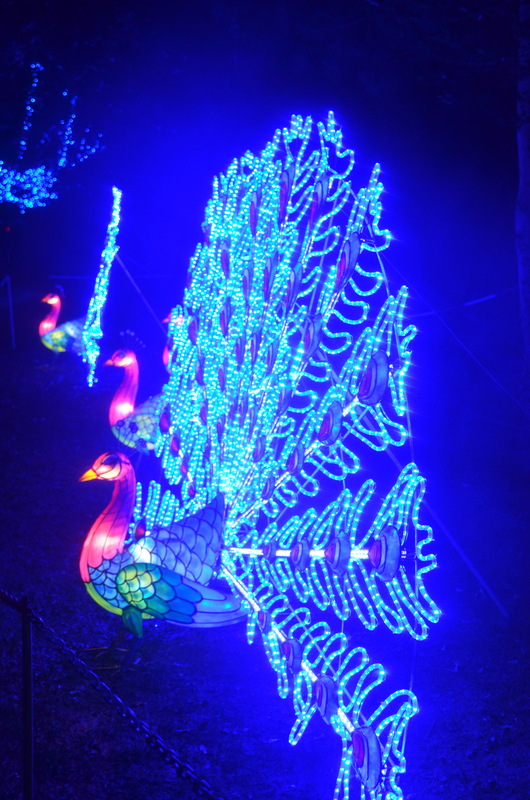 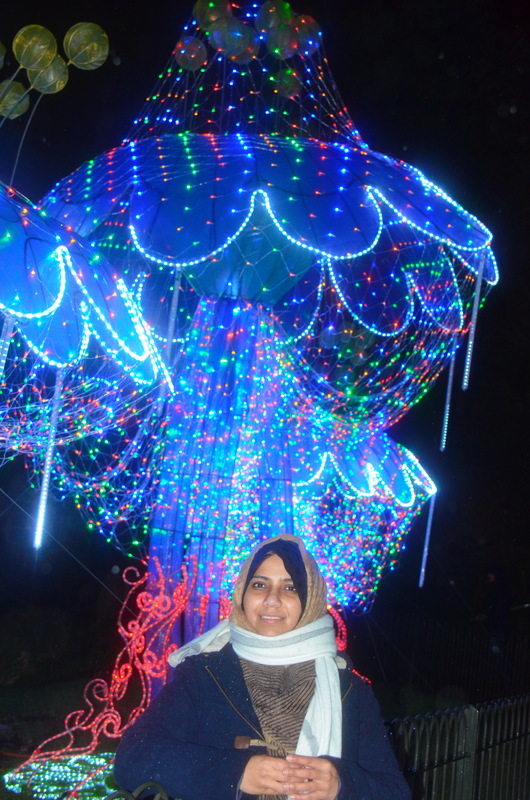 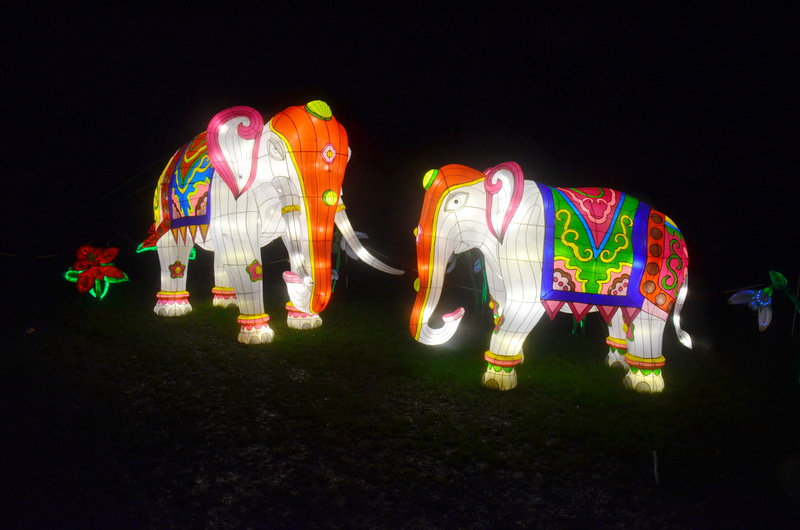 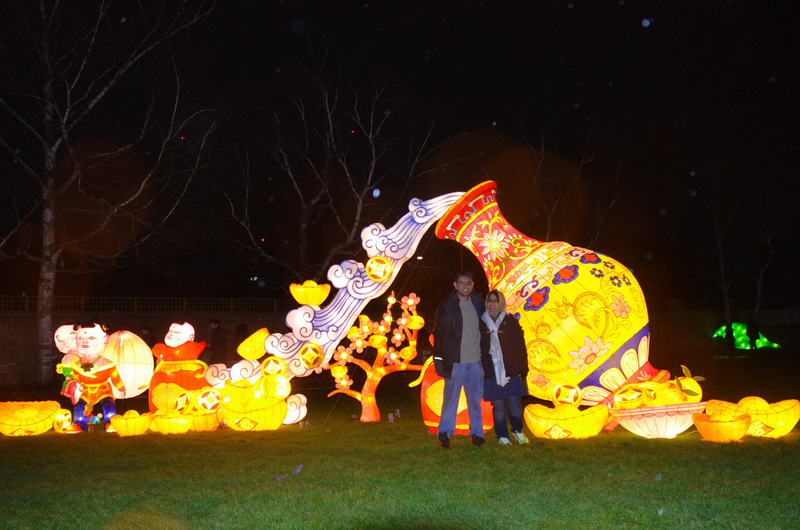 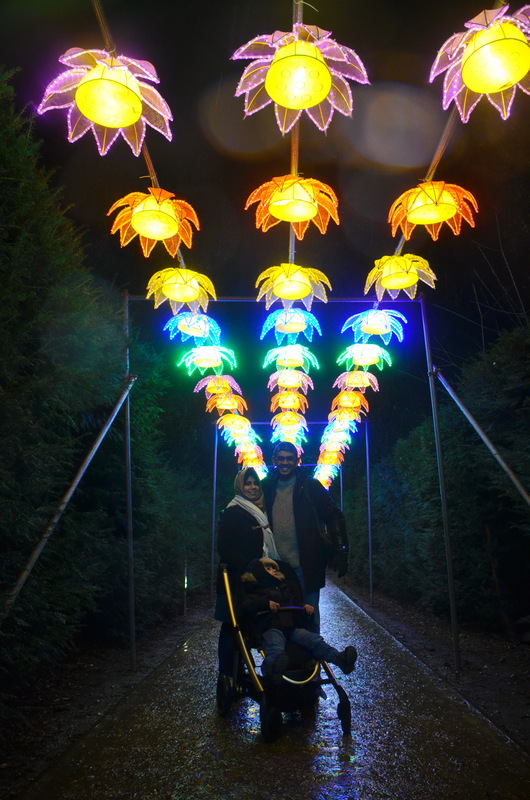 Arshan loved the vivid light and animal lantern installations and I am pretty sure every kid will too so it is a good evening out with the family. 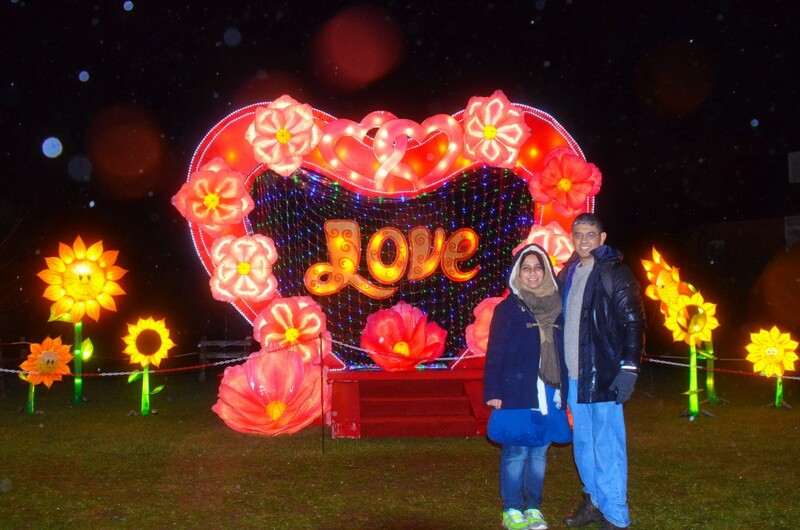 Unfortunately, it was raining when we went there so the photos came out somewhat blurry. 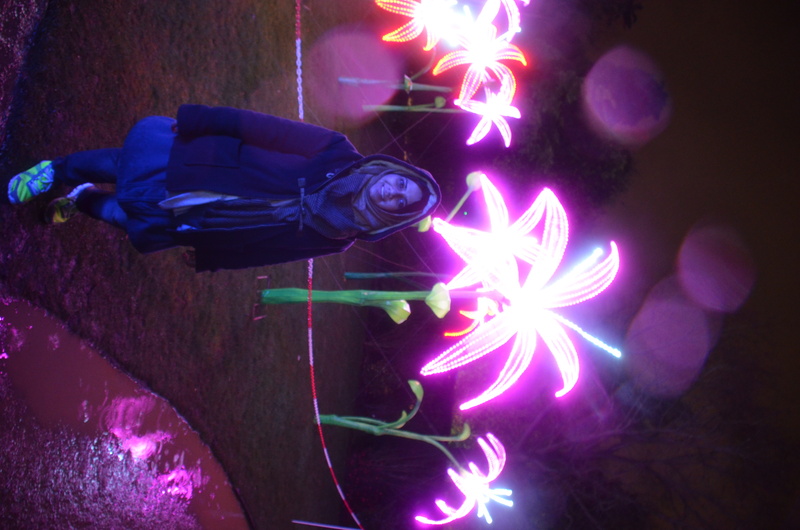 We still spent 2 hours there in the rain! 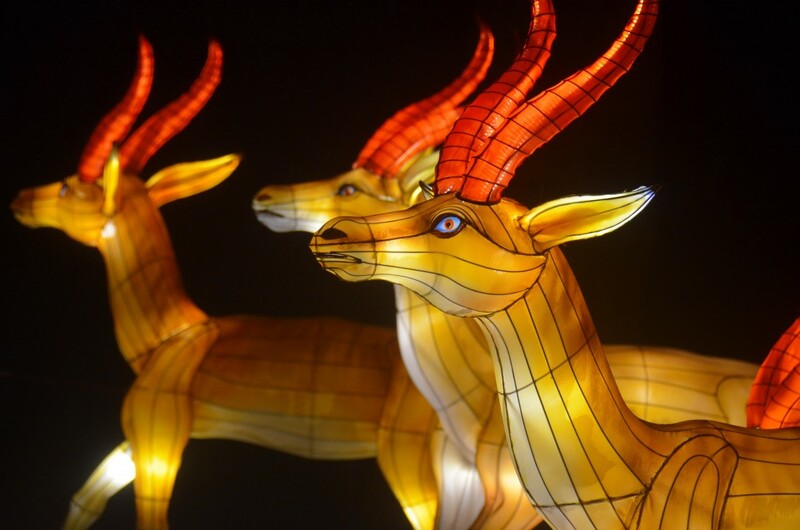 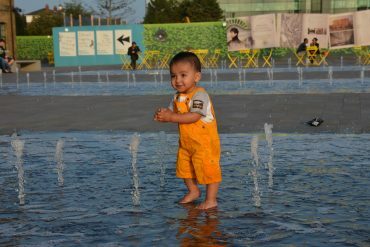 The festival is open everyday until March 6.